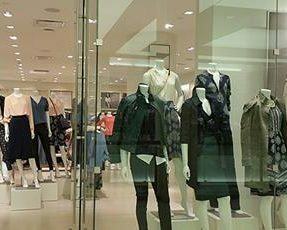 ‘UK fashion retailers are failing to commit to reduce their environmental impact’. In autumn 2018 the Environmental Audit Committee wrote to sixteen leading UK fashion retailers, among them M&S, ASOS and Boohoo, asking what they were doing to reduce the environmental and social impact of the clothes and shoes they sell. The Committee’s current inquiry into the sustainability of the fashion industry is considering the ‘fast fashion’ business model amid concerns that it encourages over consumption and generates excessive waste. The Committee has now published the retailers’ answers, and analysed companies according to their commitment to environmental sustainability and labour market initiatives. And a group of retailers including JD Sports, Sports Direct, Amazon UK and Boohoo have been found to be lagging behind the rest of the industry. None of them have signed up to the Sustainable Clothing Action Plan (SCAP) to reduce their carbon, water and waste footprint or to ACT (Action, Collaboration, Transformation), a labour rights and living-wage agreement. Each retailer was asked about a range of actions and initiatives, including: the use of organic or sustainable cotton, limiting the discharge of hazardous chemicals, and the re-use or recycling of unsold stock. Retailers were then grouped into three categories which reflect their commitment to sustainable fashion and labour market initiatives. These were: ‘less engaged’, ‘moderately engaged’ and ‘engaged’ retailers. Retailer Kurt Geiger did not respond to requests for written evidence. Less Engaged: JD Sports; Sports Direct; TK Maxx; Amazon; Boohoo; and Missguided. Sustainability action: none of the ‘least engaged’ retailers have signed up to SCAP targets to reduce their carbon, water and waste footprint and none of them use organic or sustainable cotton in their garments. Of the six, only Boohoo and Sports Direct use recycled material in their products. And only TK Maxx offers an in-store ‘take back’ scheme. Labour market initiatives: none of the six retailers are signed up to the ACT living wage initiative and only one, Missguided, is a member of the Ethical Trading Initiative (ETI), which aims to improve working conditions for workers globally. And the Committee has acknowledged the efforts Missguided has made to improve working practices in Leicester. Amazon UK, a patron of the British Fashion Council, is singled out for its ‘notable’ lack of engagement with questions put by the Committee. But although Amazon and TK Maxx are subsidiaries of international corporations that manage their initiatives, the Committee believes this does not absolve them of responsibilities. MPs were concerned about Boohoo’s approach to trade union representation. Sustainability action: each ‘moderately engaged’ retailer in this group has taken some steps to address environmental sustainability issues. Arcadia Group and Next are signed up to Sustainable Clothing Action Plan targets; Asda Group and Debenhams are not. It is noted that Next does not run a ‘take-back’ schemes for discarded clothes, citing cost as a barrier, but the other retailers in this group do. All retailers except the Asda Group make use of organic cotton. Labour market initiatives: all retailers excluding Asda are members of ACT. All except for Arcadia Group, are members of the Ethical Trading Initiative. And the Committee noted that Debenhams deserved credit for the range of programmes it is involved with. Sustainability action: all of the ‘most engaged’ retailers use organic or sustainable cotton and recycled material in their products and had in store take back schemes. All these retailers except Burberry are signed up to the SCAP targets. The Committee welcomed Burberry’s commitment to end the incineration of unsold stock and acknowledged that the company is engaged with a range of other sustainability initiatives aimed at reducing its environmental impact. Labour market initiatives: all five retailers are members of the Ethical Trading Initiative. ASOS, Tesco and Primark are members of ACT; Burberry and Marks and Spencer are not. The Committee welcomed the fact that ASOS has become the first online retailer to sign a Global Framework Agreement with IndustriALL, committing ASOS to the highest possible standards on trade union rights, health and safety, and labour relations. The Interim Report has concluded that the current business model for UK fashion industry is unsustainable and that exploitative practices must end; retailers must lead change through labour market and environmental sustainability practices; and that retailers should show leadership through engagement with industry initiatives. The Environmental Audit Committee’s Chair, Mary Creagh MP, said: “We want to see a thriving fashion industry that employs people fairly, inspires creativity and contributes to the economic success of the UK. To read the full Interim Report, click here.